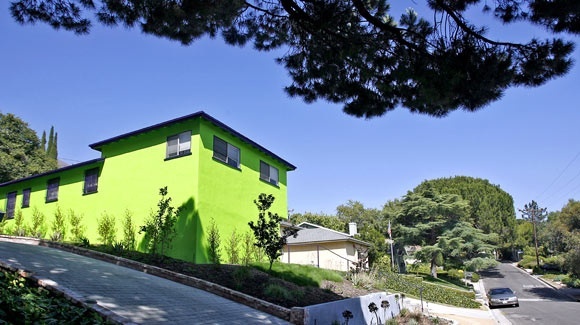 Residents Are Not Happy With Their Neighbor’s New Green And Purple Paint Color Scheme; Not Much They Can Do About It! If Only They Lived In A Community Association. I read with interest an article that appeared in the Los Angeles Times addressing a La Crescenta neighborhood’s uproar over one owner’s neon green paint job. Follow this link to read/download the LA Times article. Unfortunately, there are no standards in this area, and it’s unlikely that anyone can do anything about the neon green. 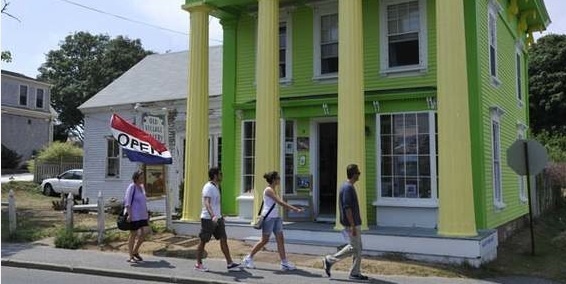 This would likely not be the case if this home were located in a planned development where paint colors are controlled. I often hear people complain, especially those who are involved in the community association industry, that they would never live in a condominium or planned development because of all of the restrictions and problems. What they fail to realize is that one of the great benefits of living in a community association is the fact that there are restrictions, such as the choice of paint colors or where you cannot park your trailer or motorhome. Most people can live with those restrictions, and if you can’t, you can live in the neighborhood with neon green homes and 40 foot trailers parked on the street in front of your home. Here is another relevant article on the subject.